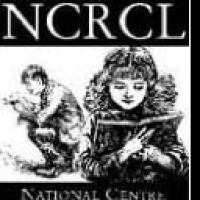 NCRCL are pleased to announce that the current round of applications for our annual scholarships in children’s literature is open (studies commencing October 2019). We invite applications from outstanding candidates for our TECHNE AHRC doctoral studentships. Studentships are awarded in departments across the university, but the NCRCL will consider applications for projects related to children’s literature or creative writing for children. Projects drawing on our archival holdings—such as the Richmal Crompton archive—will be especially welcome. For more information and details of how to apply, please see our Graduate School pages.